Just to remind you that the PBKA Auction is this Saturday 29th April at the Brithdir Building, Withybush Showground, Haverfordwest. Note that viewing commences at 11am and the auction starts at 1pm. If you have any beekeeping items or bees to sell, please contact Barbara Pegg on 01437 563392 as soon as possible. 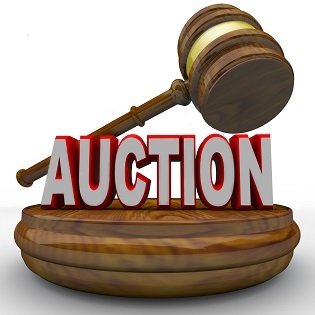 Note that the PBKA Auction this year is on Saturday 29th April at the Brithdir Building, Withybush Showground, Haverfordwest. Viewing commences at 11am and the auction starts at 1pm. If you have any beekeeping items or bees to sell, please contact Barbara Pegg on 01437 563392 as soon as possible. The PBKA Beekeeping Auction is on tomorrow (Saturday 30th April) at the Brithdir Hall, Withybush Showground at Haverfordwest. Viewing starts at 11.00am, with the auction starting promptly at 1pm. If you are bringing items for the auction (not bees!) please bring them this evening (Friday) after 6pm, or tomorrow on auction day from 9.00am. Note that all lots must be in place before 11.00am. Don’t forget the Beekeeping Auction on Saturday!! Don’t forget the annual PBKA Beekeeping Auction is on Saturday 2nd May at the Brithdir Building, Withybush Showground, Haverfordwest. Viewing commences at 11am and the auction starts at 1pm. If you have any items or bees to sell, or have any enquiries, please contact the PBKA Chairman, Tom Pegg on 01437 563392 as soon as possible.